About the book: A new life and a new identity can't protect Becca from a past that refuses to go away. Jayne Dennagree's father was a mercy killer, and she had witnessed him kill her own mother. Her testimony put him away in jail. Now her name was associated with her father, and she had to find a way to escape it. Her friend Geneva has a job opportunity for Jayne, taking care of her elderly sister in California who is suffering from alzheimers. Jayne officially changes her name to Becca and decides to take the job and make a fresh start. Becca does such a fantastic job with Aurelia and is a huge blessing to her son Issac as he can't be with her 24/7. He owns a realty company and it just hurts him to see his mom decline like this. I love how the author shows Becca's caring and dedicated side. Becca is leery of getting hurt, leery of others finding out who she really is so she tends to put up a guard against Issac. It is hard for her to keep it there though when he is so kind hearted and attractive! I really enjoyed this book! It had romance, mystery, suspense and a beautiful look at the forgiveness of God. 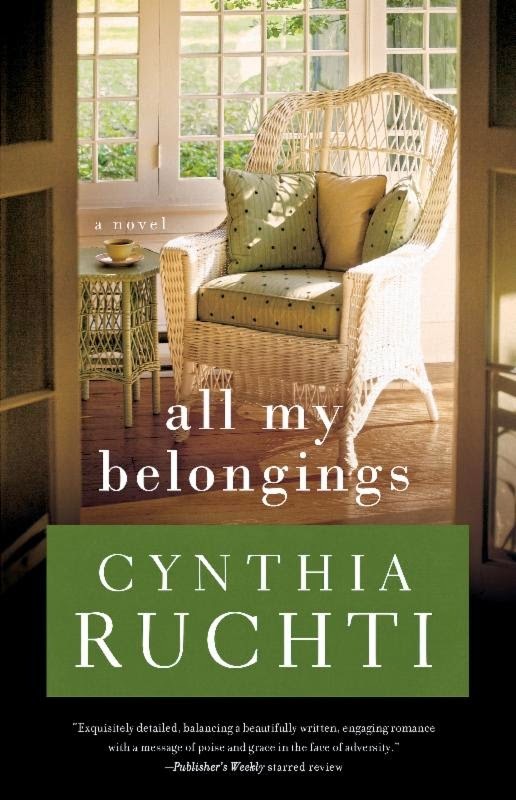 About the author: Cynthia Ruchti has more than three decades of radio broadcast experience with "Heartbeat of the Home" radio and currently serves as Professional Relations Liaison for American Christian Fiction Writers.